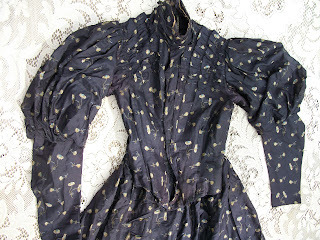 Offering a great Victorian jacket and skirt in a beautiful print on a rich Mulberry purple back round. The jacket is fitted and has leg of mutton sleeves with a standup collar and a hook and eye closure front. 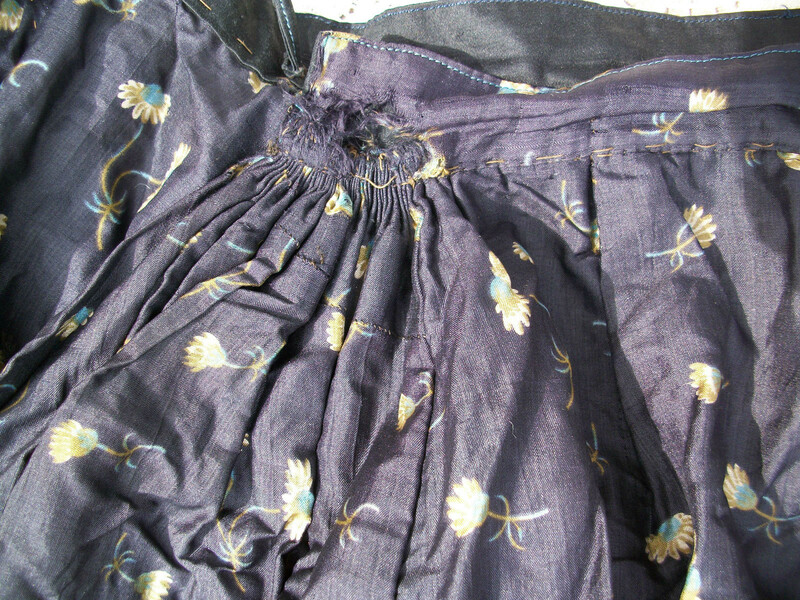 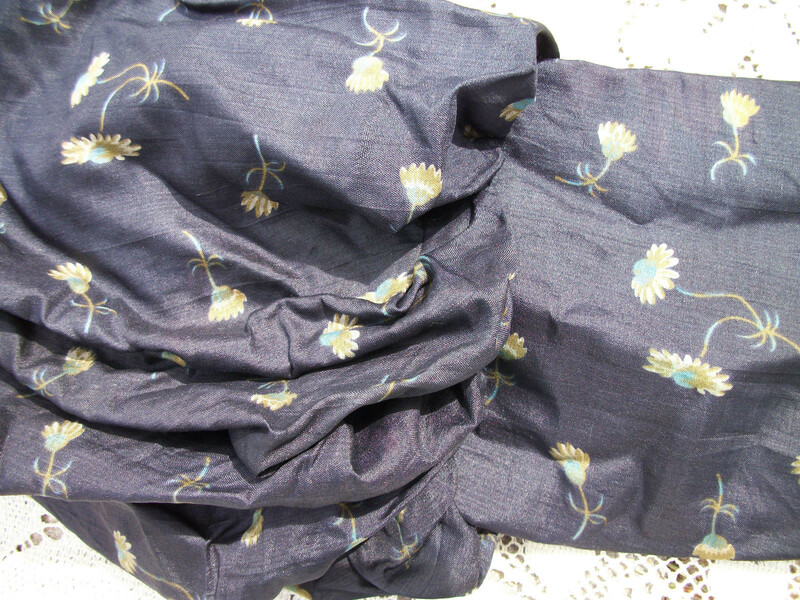 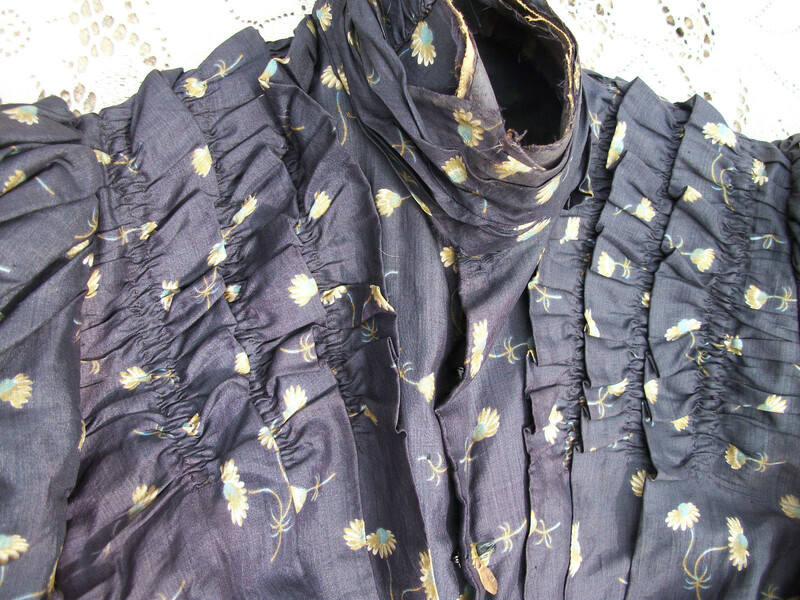 The skirt has a waistband and is very full and flowing. 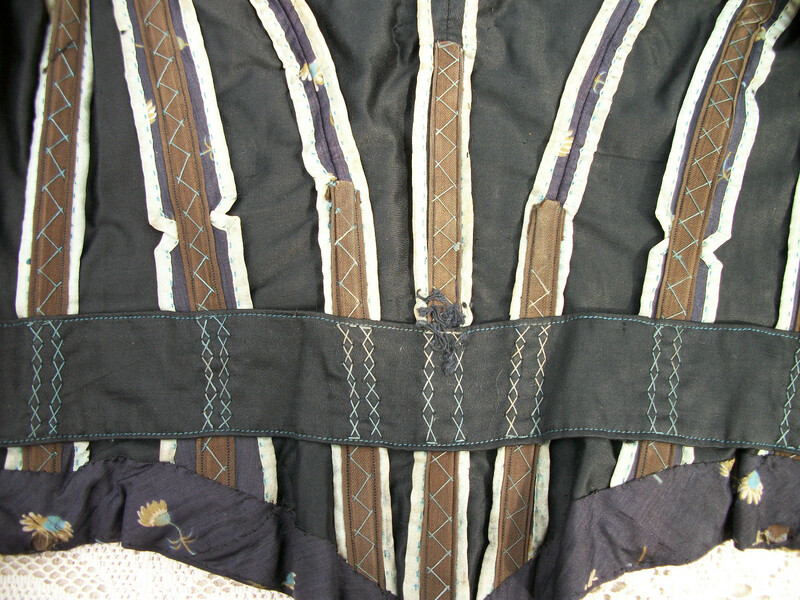 The jacket measures Bust~32 Length~18 with holes and stains in the armpit area. 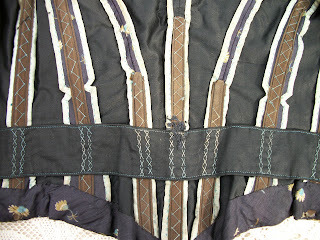 the front closure area also has stress splits and tears. 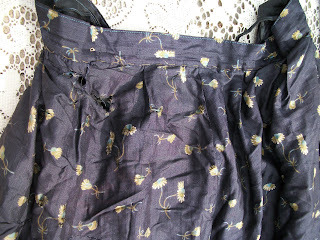 The skirt measures 26 waist and is 37 with some repair to the waistband seaming and some holes near the top of the front waist but no holes in the remainder of the skirt. 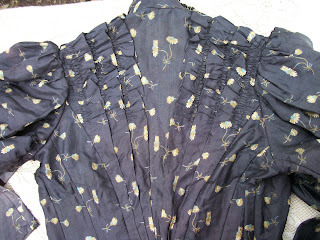 One of the prettiest of prints and a superb Victorian design! Shipping will be either Parcel Post or Priority Mail with tracking. Please be sure to check my other listings for more great finds as I am happy to combine wins to save on postage. 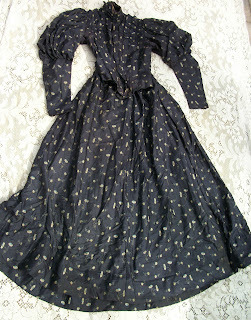 International buyers are responsible for any taxes or duties their county may impose and these charges are not included in the shipping rate. Thank you! The colors don't come through on the photos based upon the seller's comments. 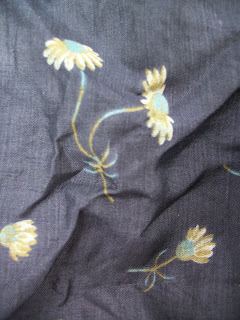 It sounds pretty fabulous - a nice dark purple with that yellow tan and teal flower?